REXBURG, Idaho—In April, Pathway will open its 100th domestic site in Rexburg, Idaho. 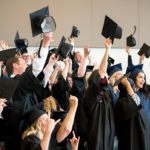 Since its creation in 2009 under Brigham Young University-Idaho, PathwayConnect has provided academic opportunity to thousands of members of The Church of Jesus Christ of Latter-day Saints across the world. 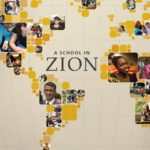 While there are over 150 operating sites throughout the world, serving 6,956 students, Rexburg will be the 100th site to open in the United States and Canada. For those interested in finding out more about the program, Pathway will host a kickoff fireside open to all local Church leadership and interested students on February 23 at 7 p.m. The fireside will take place at the Church meetinghouse on 170 W. 1st S., next to Porter Park. Those who attend can expect an introduction to the program, and Pathway representatives will be available to answer questions. “We know many members of the Church face barriers in obtaining education. So even in a town that hosts a large university where few who desire to attend are turned away, we will still find many interested students. With the combined efforts of local ecclesiastical leaders and service missionaries, PathwayConnect can deliver powerful blessings to the lives of many more Church members and their families,” says Bryan Justesen, Pathway Domestic director. PathwayConnect is designed for students of any age, old and young. 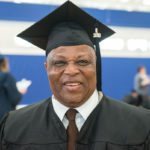 However, those who apply to PathwayConnect must be at least 18-years-old, have English language proficiency, attend weekly gatherings during the semester, and be a member of The Church of Jesus Christ of Latter-day Saints. No fees or standardized test scores are required to apply. Designed to give students the confidence and skills needed to succeed in college, PathwayConnect is a low-cost educational opportunity that combines online courses with local gatherings. Students earn college credit that is eligible for transfer to BYU-Idaho and other universities. The program takes three semesters, or one year, to complete and can lead to professional certificates and degrees. For those who face barriers of cost, time, fear, or lack of confidence to succeed in a university environment, PathwayConnect provides an educational opportunity never before thought possible. While the Pathway Home Office is located in Rexburg under BYU-Idaho, an individual site has never before existed within the city. As noted by J.D. Griffith, Pathway managing director, “I found it rather poetic that Rexburg would be our 100th domestic site. We did not do this by design, it simply happened this way. 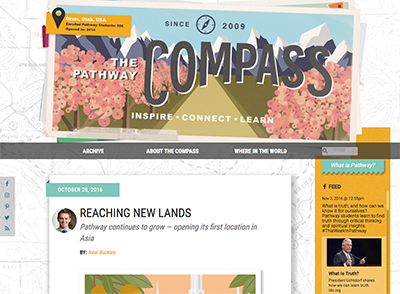 We are so excited to be able to bring the blessing of PathwayConnect to our friends and neighbors.” With the announcement of the Rexburg site, Pathway has seen its program come full circle, and it is expected that sites will continue to dot the Earth.